When a cavity or other type of infection has gone to the pulp of the tooth, the best possible treatment to save the tooth is a root canal. These days, it is not necessary to wear traditional braces because Invisalign provides a great alternative. When a tooth can absolutely not be saved, an extraction may be the last possible option for a patient. Dr. Brian L. Britton is constantly improving his techniques and skills through continuing education so he can provide the most comprehensive dental services in Arlington. He combines the latest in dental technology with a strong emphasis on patient comfort and care so you can leave the office with the results you’ll love. We are a patient-centered dental practice. We will go out of our way to help you feel comfortable during your visit and maintain your teeth between appointments. 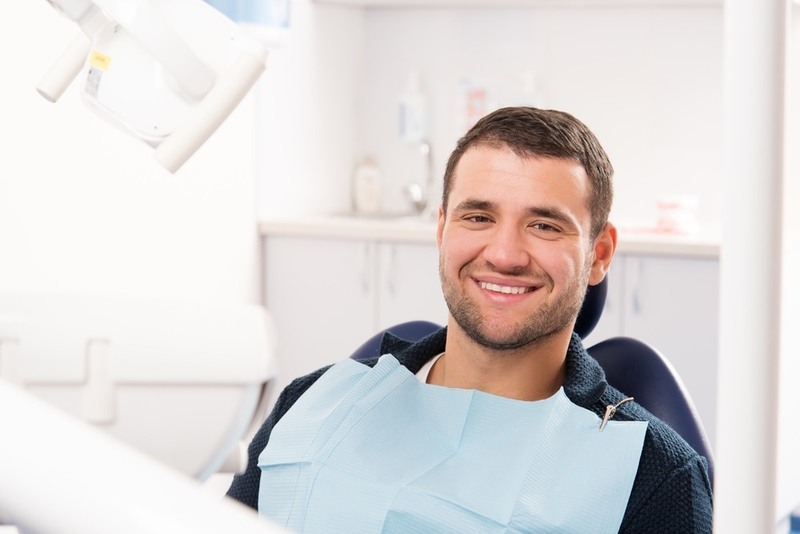 Our professional and caring staff has years of experience working with patients in the area, and we will help you improve your oral health and develop the smile you’ve always wanted. We are committed to your oral health and total wellness, and we can provide both general and cosmetic dentistry to meet your individual needs. We work hard to stay current with the latest techniques and technology, and it is reflected in the care you will receive. Make an appointment today and find out how we can help you. "Dr. Brian Britton and his supporting staff are consummate professionals. I was treated with the utmost care and courtesy. He is a master anesthesiologist. I didn’t feel a thing. They really make you feel at home. I can’t actually believe that I look forward to going to the dentist, but I do. I would recommend him to everyone!" Brian Britton acquired this well-established practice in 1996, and since then has continued to offer personable dental care to a growing number of patients. He is committed to continuing his education and employing qualified staff and state-of-the-art equipment. Contact us today and set an appointment for better oral health and brighter smiles. When you arrive at our office in Arlington, you can expect a detailed, one-on-one consultation so we can determine, together, the best treatments for your situation. Your regular appointments will include a professional cleaning and an exam to make sure we catch any problems that need immediate attention. Our staff will be quick to respond to your needs and help you feel as comfortable as possible. When is it Time for an Appointment? Generally, if you’re a current patient, we’ll set up your next appointment before you leave the office. This way you’ll never forget your checkups. Paperwork is an unfortunate necessity. Any business is going to require it, and a dentist’s office is no different. However, we can work together to get all that out of the way so you don’t have to worry about it on the day of the appointment. Be sure to check out this section to get the medical history forms, office policy forms, and patient registration forms. You can complete them quickly before you come in for your appointment, so we can move past the paperwork and focus on your dental health. We understand that a lot of people have concerns about their oral health, and many feel anxiety over visiting the dentist. We’ll take the time to discuss those issues with you and recommend the right procedure for your situation. We have highly qualified and experienced hygienists, registered dental assistants, and others on staff who will ensure that you get the most out of every visit. Dr. Britton is always open to questions, and we’ll do our best to help you feel conformation and understand what each individual dental service involves. Our office is fully stocked with the more recent, state-of-the-art dental equipment. This allows us to provide the most effective care and create a pain-free, comfortable experience possible. Patient comfort is always at the top of our priority list, and the latest in technology allows us to provide the treatments you need in a fast and effective way. Dr. Britton is continually working with new dental technology and discovering new and better ways to provide effective dental treatments in Arlington. Talk to us today to learn more about our office’s technology. Cosmetic dental procedures can give you that beautiful smile you’ve always wanted. Reconstructive procedures, on the other hand, are all about restoring your mouth to functionality and normal appearance after trauma or significant decay. We offer full-mouth reconstructions if cases are severe enough, but most of our patients only require crowns, bridges, implants, dentures or other procedures to restore their mouth and teeth. On the cosmetic side, we offer Invisalign, whitening, tooth-colored fillings, and porcelain veneers to brighten your teeth and give you a new reason to smile. We want you to feel completely comfortable throughout your dental procedures. Dr. Britton continues to improve his techniques and skills throughout ongoing education, and we are always upgrading our technology to make sure your procedures go as smoothly and painlessly as possible. Our staff is experienced and caring, and we’ll make sure you understand all your options so you can make the best decisions for your teeth. We are committed to providing the best dental care in Arlington. Set up your appointment today and experience modern, high-tech dentistry.